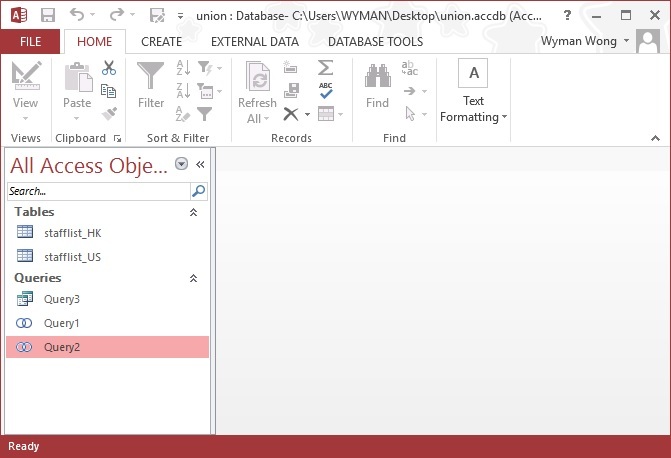 This Access tutorial explains how to export all Queries to Excel. Assume that you have created three Queries in Access database, all you want to export them to Excel. Go to C:\test\ folder, you will find three new files. Instead of using DoCmd.OutputTo Method to export Query, you can also use DoCmd.TransferSpreadSheet Method. DoCmd.OutputTo Method gives you formatting such as column width that you set in Query, while DoCmd.TransferSpreadSheet Method only gives a non-formatted raw data. Add an If condition in the For Each Loop to control which name should be or should not be exported using INSTR Function. DoCmd.OutputTo Method can be used to export some file types as below. Other than the parameter, make sure you change the file extension as well. The below example shows how to export all Queries to PDF.